Unfortunately, lower back pain can strike at any time, for a variety of reasons. If you are having trouble with this condition yourself, contacting Christensen Chiropractic Clinic, P.C. in Carroll IA to meet with our chiropractor is an option to help in getting symptoms to subside. Here is some information about this ailment to read over so you learn how it happens, how to stop it from happening, and how to treat it when it does happen. Lower back pain is often one of the symptoms that arise after being in a personal injury, such as a car accident. It could be the result of using poor form while on the job, such as lifting items without the use of a back brace or sitting in chairs without proper ergonomic features. Over-exerting the body when exercising or working could lead to pain in the back as well. Back pain could be mild or quick intense depending on the reason for its occurrence. It is best to seek medical treatment if you are unable to perform daily tasks without discomfort. 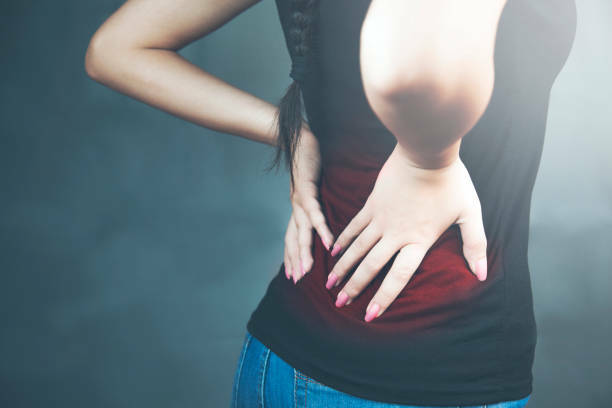 If you have suffered from lower back pain in the past, it is likely you want to take steps from keeping it from happening again. There are a few actions that you can take to protect yourself from lower back pain. When lifting heavy items, either use a back brace or have another person help you distribute the weight of the item so you do not bear the brunt of the weight yourself. Make sure to take frequent breaks when there is a need to sit or stand for extended time periods. Avoiding repetitive motions can also help to keep your back free of pain. If you engage in exercise or sports, make sure to warm up your body before you begin. Making an appointment with our chiropractor is a great way to obtain noninvasive treatment without the use of medication. Our practitioner will check over the ailment to determine why you are experiencing the pain so recommendations can be made to relieve the area effectively. Spinal adjustments are used to release stress placed upon joints in the body. This, along with temperature therapy, electric stimulating of affected muscles in the back, and massage, will aid in healing the back so relief is obtained. Contact Christensen Chiropractic Clinic, P.C. in Carroll IA if you are experiencing lower back pain and want to treat it without the use of medication. Our chiropractor is available to assess your condition and treat you immediately afterward. Call us at (712) 775-2777 for more information today.